Systems of regression equations, the first structural equation models, were not specifically focused on latent constructs, but on exogeneity, and the problems engendered when conceptually endogenous variables appeared as both predictors and dependent variables in regression equations. Their development was part of a larger move towards theory-driven structural models, articulated in the Lucas critique in econometrics. Early Cowles Commission models borrowed from operations research to ensure validity of systems of equations, and enable their use in confirmatory hypothesis testing. Extensions allowed latent constructs to be incorporated as well. 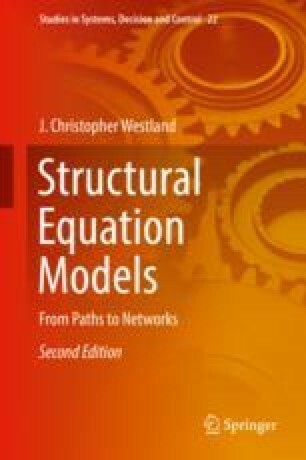 This chapter provides specific comparisons of estimators on a sample problem from the application of PLS-PA, LISREL, AMOS, systems of regression equation, and other structural equation model methods. Software code and data are provided as a part of these comparisons so that researchers may test the performance of their own models comparing different structural equation model methods.